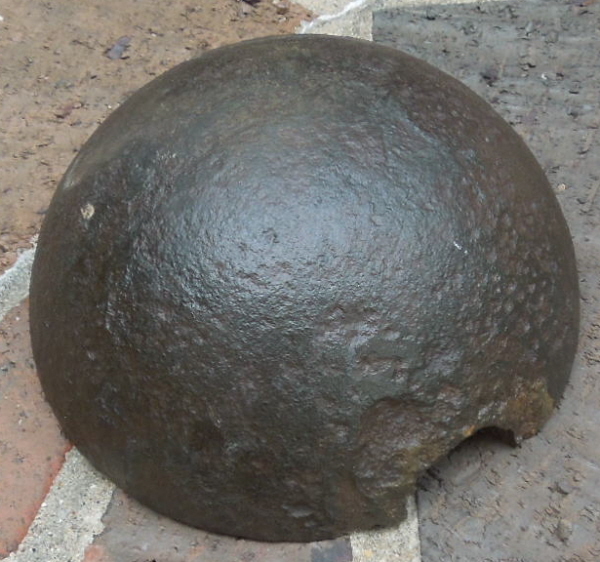 Description:Half of a 12 pounder Confederate cannon ball cast with a core that created lines of weakness allowing it to break into consistent sized pieces. 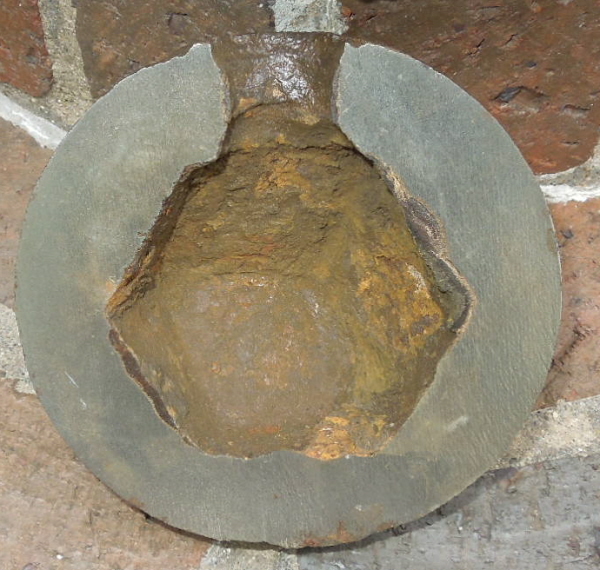 Commonly called a polygonal cavity cannon ball and also known as a Mallett Polygonal Cavity shell, this was a very effective design. It caused the shell to break into 12 equal pieces. 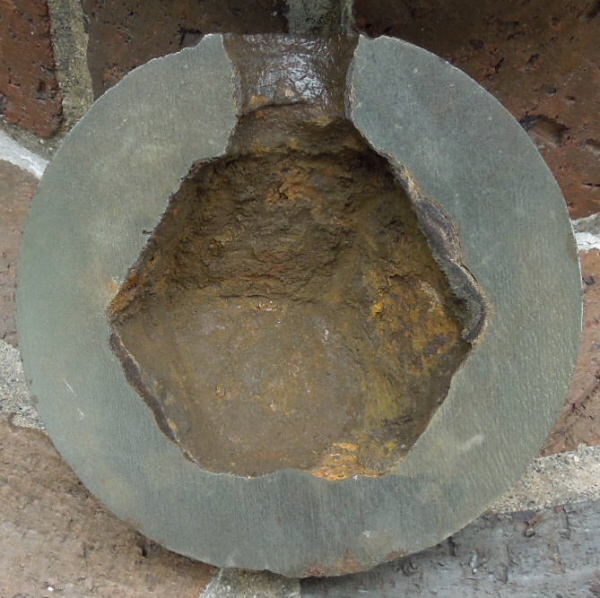 This one has the diamond shaped pieces typically found in the deep South and associated with Selma, AL manufacture. I will include one of those frags with the purchase of this half shell.